Germany: Oskar von Hindenburg, son of the recently deceased German President Paul von Hindenburg, falsely proclaims that it was his father's wish to have Adolf Hitler succeed him as the President of Germany. Spain: Day 30 of 985 of the Spanish Civil War. Spain: Day 395 of 985 of the Spanish Civil War. A new political police force, the SIM (Servicio Investigación Militar), is established in Republican Spain, controlled by the Communists and containing many Russian advisers. CBI - China: Day 40 of 2,987 of the 2nd Sino-Japanese War. Day 3 of 106 of the 2nd Battle of Shanghai. Japan announces they intend to eliminate all anti-Japanese movement within China. Due to their disregard for Chinese sovereignty, this becomes an unofficial declaration of war. In the afternoon, Japanese bombers attack the Chinese capital city of Nanjing. Spain: Day 760 of 985 of the Spanish Civil War. Germany: Hitler tells his military leaders that he intends to resolve the Czechoslovakian situation with force. CBI - China: Day 405 of 2,987 of the 2nd Sino-Japanese War. Day 66 of 139 of the Battle of Wuhan. USA: MGM's classic musical film The Wizard of Oz premieres at Grauman's Chinese Theatre in Hollywood. MTO: Indian troops arrive in Egypt to reinforce British defenses around the Suez Canal. CBI - China: Day 770 of 2,987 of the 2nd Sino-Japanese War. Day 63 of 68 of the Battle of Tianjin. CBI - Mongolia: Day 97 of 129 of the Battle of Khalkhin Gol, a border dispute between the Soviet Union and Japan. USA: Roosevelt approves the National Defense Research Committee, a group of civilian scientists working for the military. Atlantic: German sub U-A sinks the Greek ship ASPASIA 700 miles west of Gibraltar. Up north, 190 miles northwest of Rockall, Ireland, U-51 sinks the British tanker SYLVAFIELD. ETO - UK: Day 37 of 114 of the Battle of Britain. The Luftwaffe makes its greatest attack on RAF airfields thus far. MTO - Greece: The Italian sub DELFINO sinks the WWI-era Greek cruiser HELLE while anchored Tinos island. East Africa: Day 67 of 537 of Italy's East African campaign in the lands south of Egypt. In British Somaliland, the Italian troops continue their attack at Tug Argan, taking another one of the six hills overlooking the main road. Overnight, British and Commonwealth troops withdraw toward Berbera. CBI - China: Day 1,136 of 2,987 of the 2nd Sino-Japanese War. Day 275 of 381 of the Battle of South Guangxi. 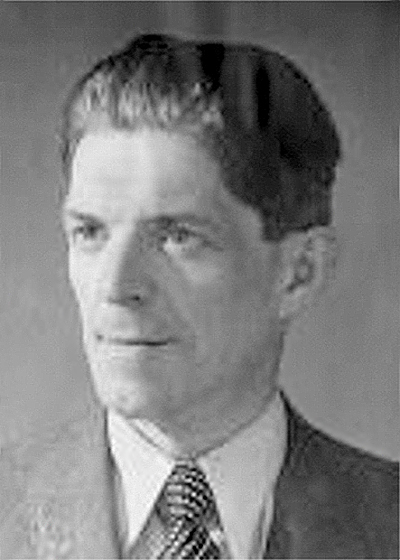 ETO - UK: German spy Josef Jakobs, captured earlier in Britain on 1 Feb 41 upon parachuting into England, is executed by firing squad at the Tower of London in England. He will become the last person to be executed there. On January 31, 1941, Corporal Josef Jakobs parachuted into England. The local Home Guard spotted him landing and he was easily apprehended near Dovehouse Farm, Ramsey Hollow. He was found to have a broken ankle sustained on landing and was taken to Ramsey Police Station where he was held before being transferred to the Tower of London. He was carrying British currency, forged papers, a radio and, of all things, a German sausage. He was court-martialled for treachery and as a result was put to death by firing squad. Because of his injury sustained on landing he was allowed to sit in a chair for his execution. 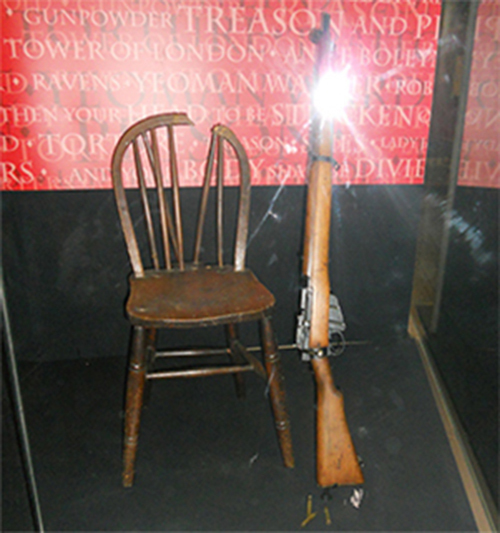 The chair is now on view to the public in the Tower. Jakobs was the last person to be executed in the Tower of London. Germany: It becomes a criminal offense for Jews not to wear the yellow Star of David. Russian Front - Finland: Day 48 of 142 of Operation SILVER FOX, a joint German-Finnish campaign to capture the Russian port of Murmansk in the Arctic. Russian Front - Finland: Day 46 of 140 of Operation ARCTIC FOX, a joint German-Finnish campaign against Soviet Northern Front defenses at Salla, Finland. Russian Front - Finland: Day 55 of 164 of the Battle of Hanko. Russian Front: Day 55 of 167 of Germany's Operation BARBAROSSA, the invasion of the USSR. Russian Front - North: Army Group North continues their slow advance toward Leningrad. Soviet troops continue trying to stop the Germans at Staraya Russa south of Lake Ilmen. Russian Front - Center: Day 23 of 38 of the Battle of Gomel, Belarus. Russian Front - South: Day 8 of 70 of the Siege of Odessa, Ukraine. MTO - Libya: Day 128 of 256 of the Siege of Tobruk. The German Panzer Group Afrika is activated with Erwin Rommel in command. East Africa: Day 432 of 537 of Italy's East African campaign in the lands south of Egypt. CBI - China: Day 1,501 of 2,987 of the 2nd Sino-Japanese War. Russian Front - North: Day 342 of 872 of the Siege of Leningrad. Russian Front - North: Day 103 of 658 of the Siege of the Kholm Pocket. Russian Front - Center: Day 17 of 64 of the 1st Battle of Rzhev-Sychevka, Russia. German troops near Rzhev continue their attempts to break their encirclement. Russian Front - South: Day 49 of 150 of Germany's CASE BLUE. German Army Group A reaches the foothills of the Caucasus Mountains. East Africa: Day 103 of 186 of the Battle of Madagascar. CBI - China: Day 1,866 of 2,987 of the 2nd Sino-Japanese War. Day 93 of 124 of Japan's Zhejiang-Jiangxi Campaign, launched to punish anyone suspected of aiding the Doolittle raiders in China. Roughly 250,000 Chinese will be killed. PTO - Alaska: Day 70 of 435 of the Battle of Kiska, Aleutian Islands. PTO - Hawaii: Only US paper currency with the word "HAWAII" overprinted on both sides can now be used on the islands. PTO - Malaya: Day 178 of 357 of the Battle of Timor Island. PTO - New Guinea: Day 26 of 119 of the Battle of the Kokoda Track. US 5th and 13th Air Forces provide air support. PTO - Solomon Islands: Day 9 of 187 of the Battle of Guadalcanal. US 5th Army Air Force provides air support. Sweden: The Swedish government forbids all German traffic and transports from using Swedish territory as a path to cross into Norway and Finland. ETO - UK: The Luftwaffe mounts their heaviest raid in two years on Portsmouth. ETO: US 8th Air Force B-17s and B-26s bomb airfields in France and the Netherlands. Russian Front - North: Day 707 of 872 of the Siege of Leningrad. Russian Front - North: Day 468 of 658 of the Siege of the Kholm Pocket. Russian Front - Center: Day 42 of 50 of the Battle of Kursk, Russia. Russian Front - Center: Day 35 of 38 of the Battle of Orel, Russia. Russian Front - Center: Day 9 of 57 of the 2nd Battle of Smolensk, Russia. Russian Front - Center: Day 9 of 14 of the Battle of Spas-Demensk, Russia. Russian Front - Center: Day 3 of 6 of the 1st Battle of Dukhovshchina-Demidov, Russia. Russian Front - South: Day 34 of 48 of the USSR's Lvov-Sandomierz Offensive. The outflanked Germans continue retreating. MTO - Italy: Day 38 of 40 of the Battle of Sicily. RAF and US Air Forces provide air support. The British 8th Army completes its drive around Mount Etna. The US 7th Army heads along the coast to Spadofora. At night, the US will make a landing near Barcelona in an effort to block the enemy's retreat. CBI - China: Day 2,231 of 2,987 of the 2nd Sino-Japanese War. PTO - Alaska: Day 435 of 435 of the Battle of Kiska, Aleutian Islands. US and Canadian troops land on Kiska Island only to find the Japanese have already evacuated the island. PTO - New Guinea: Day 116 of 148 of the 2nd Battle of Lae-Salamaua. US 5th and 13th Air Forces provide air support. PTO - Solomon Islands: Day 57 of 67 of the Battle of New Georgia. US 5th and 13th Air Forces provide air support. PTO - Solomon Islands: Day 1 of 56 of the Battle of Vella Lavella. The US Northern Landing Force attacks Japanese positions and the airfield on Vella Lavella Island. ETO - UK: US 8th Air Force: The 491st Bomb Group, whose base had been destroyed by a mysterious bomb dump explosion on 15 Jul 44, finishes moving from their former base at Metfield to the base at North Pickenham formerly occupied by the ill-fated 492nd Bomb Group, which had been disbanded due to high casualties. ETO - UK: Day 64 of 86 of the V-1 "Buzz Bomb" offensive on Britain. ETO - France: Day 22 of 29 of the Breakout Battle of Normandy. Allied Air Forces provide air support. About 200,000 Germans are trapped in a 40-mile long, 11-mile wide gap in the Argentan-Falaise area, but start to make their way out as Anglo-Canadian troops resume attacking them from the north. ETO - France: Day 15 of 284 of the Battle of Brittany. ETO - France: Day 1 of 32 of Operation DRAGOON, the Allied invasion of southern France. Allies land on the beaches from Toulon to Nice taking six towns and 2,000 prisoners. Russian Front - North: Day 6 of 28 of the Battle of Tartu in southeastern Estonia. Russian Front - Center: Day 19 of 32 of the Battle of Kaunas, Lithuania. CBI - Burma: Day 164 of 166 of the UK's Operation THURSDAY. US 10th Air Force provides air support. CBI - Burma: Day 137 of 302 of the Chinese Salween Offensive. US 14th Air Force provides air support. CBI - China: Day 2,597 of 2,987 of the 2nd Sino-Japanese War. Day 121 of 259 of Japan's Operation ICHI-GO. PTO - Dutch New Guinea: Day 45 of 61 of the Battle of Noemfoor. Although the island has been declared secured, bitter fighting from Japanese continues. PTO - New Guinea: Day 81 of 83 of the Battle of Biak. There are still 3,000 Japanese soldiers on the island who won't give up. PTO - New Guinea: Day 245 of 597 of the Battle of New Britain. 5th Air Force provides air support. PTO - New Guinea: Day 116 of 481 of the Battle of Western New Guinea. 5th Air Force provides air support. PTO - New Guinea: Day 63 of 80 of the Battle of Lone Tree Hill. PTO - New Guinea: Day 37 of 47 of the Battle of Driniumor River. PTO - Solomon Islands: Day 289 of 295 of the Battle of the Bougainville Islands. US 13th Air Force provides air support. UK: V-J Day is declared in Britain and huge crowds cheer King and Queen en route to Westminster for the State opening of Parliament. The British release details of one of most closely guarded secrets of war, RADAR. CBI - China: Day 2,962 of 2,987 of the 2nd Sino-Japanese War. Day 7 of 25 of the Soviet Invasion of Manchuria. PTO - Borneo: Day 67 of 67 of the Battle of North Borneo. It will take weeks for the remaining 21,000 Japanese soldiers and civilians to surrender. Australians begin the task of establishing British civil administration, which will also take several weeks. PTO - Japan: Following the Emperor's decision to accept Allied terms of unconditional surrender, the Japanese Government resigns and the war minister commits suicide. Later, a group of Japanese Army officers attempt a coup d'état by attacking the Imperial Palace in Tokyo in a failed effort to prevent the surrender and continue the war. PTO - Japan: Emperor Hirohito addresses his nation via radio, announcing the end of the war and Japan's need to "endure the unendurable." The Japanese government informs the Allies of their willingness to meet the unconditional surrender terms. In response, the US orders all hostilities in Asia to cease immediately. 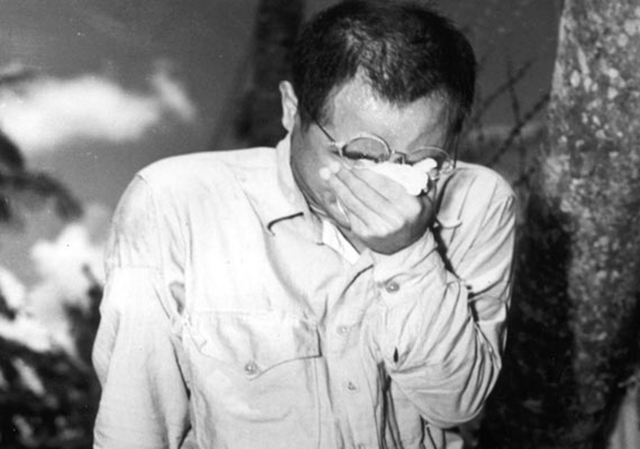 A Japanese prisoner of war at Guam, Mariana Islands, covers his face as he hears Japanese Emperor Hirohito making the announcement of Japan's unconditional surrender on August 15, 1945. World War II had come to an end. PTO - Japan: Warplanes from the USS TICONDEROGA heading to Tokyo, Japan, are recalled upon hearing of the Japanese surrender. PTO - Japan: Royal Navy planes shoot down seven Zero fighters. The last Japanese aircraft destroyed prior to Emperor Hirohito's radio address is a C6N1 Saiun aircraft, shot down about five minutes before the announcement is received. PTO - New Guinea: Day 597 of 597 of the Battle of New Britain. It will take another six days for remaining Japanese forces to completely surrender. PTO - New Guinea: Day 481 of 481 of the Battle of Western New Guinea. Some 13,000 Japanese troops surrender. PTO - Philippines: Day 299 of 299 of the 2nd Battle of the Philippines, aka the Liberation of the Philippines or the Philippines Campaign. PTO - Philippines: Day 244 of 244 of the Battle of Luzon. Small groups of Japanese soldiers that had retreated to the mountains surrender, but a few will hold out for years. PTO - Philippines: Day 159 of 159 of the Battle of Mindanao Island. 22,250 Japanese troops emerge to surrender.